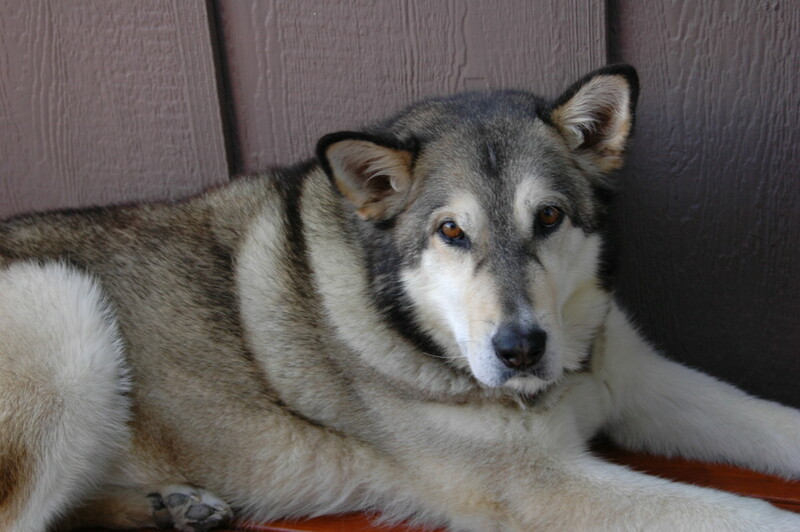 Alaskan Malamute: Is This The Right Dog For You? What word pops on the Internet when you type in Alaskan Malamute or malamute? Rescue - that means that there are a whole lot of folks out there who do not know what they are getting into and turn these dogs over to someone else. As a lover of malamutes - PLEASE take your time and think it through. Dogs, like people are not disposable and that is what happens more times than I would like to think on. Malamutes are one of the most misunderstood breeds out there. If folks just knew what to do with them - priceless to coin MasterCard's catch phrase. First And Foremost How Energetic Are You? As a "veteran" owner of several malamutes spanning 10+ years, I can honestly say that this is the first question I have for folks who are considering getting a malamute. They are king of the working dogs and as such, have an inbred drive to DO something and need that as much as they need sustenance. They need to feel productive, and as an owner of a dog of this breed, you have to be aware of this going in or quickly come to realize it. 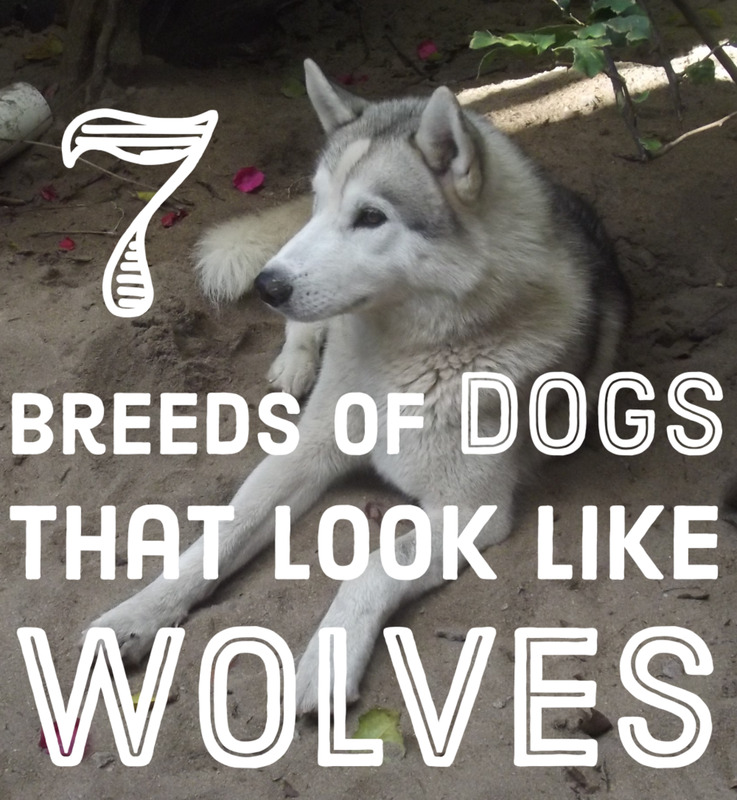 Otherwise, your experience with dogs of this breed might prove frustrating to say the least! We're A Lot Of Work But We Are Worth It If You Can Take It! These dogs are one of the friendliest breeds I have come across in my many decades of dog worship and although they are not loyal to one particular person per se, they are great family dogs. They are wonderfully social and engaging dogs. There are many, many misconceptions about the Arctic breeds and malamutes do sometimes get a terrible reputation for doing poorly in families or in certain situations; I have found this to be completely the opposite. Ours are happiest when anyone is paying attention to them. Another misconception is that the Alaskan malamute is part of the wolf family. Alaskan malamutes were first introduced into the AKC in 1935 and are one of the "natural breeds" meaning that they were not created as a breed such as a labrador or a doberman for instance. They are highly intelligent and social dogs but need above all understanding of their underlying nature and many positive traits. I have found in my dealings with the malamutes, they constantly surprise me in their abilities and they mesmerize me with their knack at being part of a unit. Their "work ethic" is unbelievable. They require a tremendous amount of work and let's not forget patience! A malamute by nature will try to be a dominant persona and if allowed that privilege, the owner will of necessity no longer be the alpha, which is the opposite of what needs to happen. A malamute needs a strong alpha to depend on and that alpha must be human. They will test the limits otherwise constantly and once control is lost, it is a difficult thing to get back. The next question for someone contemplating adding a malamute to their household would be how much can you think outside the box? How willing are you to realize that a malamute needs constant stimulation and feedback from its owner and/or its "pack" which is the family unit whatever that is comprised of? 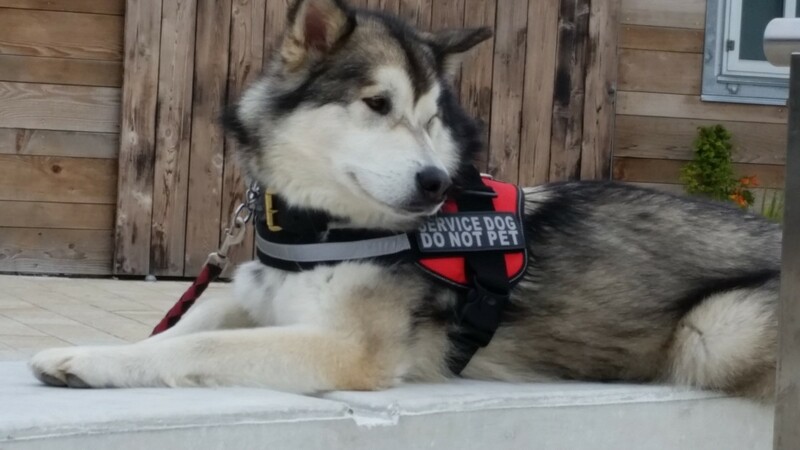 A malamute is not a dog who will be content to sit outside unattended for days at a time, although they truly are very independent and self-reliant in many ways. However, social interaction is something that they crave and without it, they look for ways to replace that which may be repugnant to an owner. At the very minimum, a malamute must have a large yard and a fenced yard at that. The fence should be quite high just in case they might be tempted to leap it in a single bound. They need space to run and exercise themselves as they are by nature extremely active dogs. They are of the working class of dogs and thus need to have a "work product" on some level each and every day to feel complete. Having a companion dog of the same nature has helped ours tremendously because whereas our yard is not huge by any means, there are many decks and sets of stairs that they can run about on and chase each other over time and time again. They are obviously not kept confined. They can also spend hours wrestling with each other as well, which is a great way for them to get in their need for exercising. However, most malamutes will still need extraneous help in fulfilling their work needs plus they need the human socialization. Walking is a great form and the most basic of all available to any of us. Daily walking or running can be extremely beneficial to the malamute for burning off excess energy. Taking them to dog parks can also be beneficial though with this I would stress here the caveat that the malamute should have demonstrated the ability to get along with other dogs before turning them loose in a dog park! They are a pack breed and sometimes they can be a bit of a challenge when socializing with other dogs if they have not been previously tested in their ability to play rather than assuming the role of alpha in a situation. There are other forms of working a malamute and will address those in another hub that are both great for the malamute and good for the owner. Again, it all depends on how much you want to do with your dog and if you have chosen a malamute, it almost becomes a necessity to have some form of exercising interaction that works for you both. Living with malamutes can be the most rewarding experience in the world and conversely, it can be one of the most frustrating ones you will ever encounter if you do not understand the breed. Knowing the breed is the fundamental basis for a positive and enriching experience for both dog and owner. Knowing the breed's limitations and also its strengths is key to a mutually harmonious coexistence. I am of the mind that it is one of the greatest experiences I have ever been privileged to have but only because I think that I understand my malamutes and what they need to be healthy and happy. Malamutes are notoriously stubborn. This is a fact I see on a daily basis and whereas labradors I trained were always eager to please and usually obedient to a fault, malamutes have a definite mindset of their own. It is not that they wish to be disobedient; it is simply that they will always look for the chink in the armor and try to push their way through something. However, having a human alpha will prevent this from happening. Being consistent and forthright in dealings with a malamute is paramount to a good relationship. Sometimes, they just seem to be bored with the routine of doing something time and time again. With my labs, I could teach commands and have them performing like circus dogs in minutes, but the malamute has a different approach. They learn basic commands readily enough but after a few repetitions of these commands, they are quite frankly done with it. If they have demonstrated a sit more than 2 or 3 times in a training session, they become "creative" in their own way by doing every command BUT the sit. Even Griffin at 4 months old, when asked to do a sit command perhaps the third time in one encapsulated session will run through the entire barrage of commands he has been taught and give me surprisingly every last one BUT somehow omit the one I actually requested, thus proving to me that he does know the command! How clever that he only chose that one to miss! They seem to be of a mind that they are always thinking and asking their owners questions. In this case, it is something along the line of perhaps "Didn't I just show you I knew that trick? Then why are we going over it again?" Of course as the alpha, you have to make sure that the malamute does do a given command but I have found that getting around it in a different way is just as effective, i.e. letting that command drop for the moment and then getting the correct response to any other command, ending the session and/or taking a quick break and returning to it solves the problem. It also lets me still be the alpha. It is always best to end a training session with a command performed than giving up and walking away with a command not answered. No one has to be a failure and it is all about the end result. I believe wholeheartedly that malamutes are meant to be part of a family unit. By that, I mean that they thrive on the interaction of all parts of that family unit and seem to do best when involved in the day-to-day workings of the family. They are basically outdoor dogs but they are also very comfortable being part of a household and being allowed the freedom to exist with the family in different situations, especially indoors. Ours come and go but only as we allow them to do so. Some people use doggie doors and that is another alternative. Ours are invited in at varying times throughout the day and evening and interact with us as much as possible, in every room and every situation, whether we have guests are just alone by ourselves. They are taught appropriate behaviors while in the house and discouraged from the inappropriate, much like children. However, without exposure to the family unit and the interactions of a household, it would be less likely that they would be well-behaved in those situations; hence, we prefer to make sure that they are well-versed in indoor as well as outdoor behavior. Our dogs are allowed as well at our invitation to join us on the bed for cuddling and play. We do not encourage our dogs to be on furniture unless they are specifically invited. We also expect that when the playtime is over, they need to be respectful and abide by our rules. Likewise, they are allowed toys since Griffin is a puppy and needs the outlet for chewing constantly; rather than having that occur on furniture or treasures, we provide him with a variety of age-appropriate outlets for his teething. However, we have another malamute who is a rescued and abused dog and since she has food issues, we are ever vigilant about having opportunities for her to feel a need for aggression over food; hence we avoid any chew toys or items that might be misunderstood in her situation as food sources such as pig ears, etc. We also never give our dogs constant access to food as that eliminates many problems right there in who needs to be dominant. Feeding times are set by us - the alphas - and when feeding is done, the food disappears. Some malamutes like sleeping outdoors and some prefer sleeping in crates. Some of course would prefer to be part of your bed and will quickly insinuate themselves into your nightly bedtime routine if allowed to do that! It is all about what each individual family wants to do. We have always brought our dogs in at night as we have found that it makes for sounder sleep - for them and for us knowing that they are safe and away from anything that could happen when we are not with them. They sleep in crates simply because they seem to have always done better with that situation and likewise, it is a carryover that works for other situations such as traveling or having to kennel the dogs, needing someone else to watch them at our home, etc. Since malamutes are a "pack" mentality, it also seems to serve them well in that it gives them some sense of protection and aloneness for their quiet times. However, whereas one dog will sleep in an open doored crate, another may prefer to have a "closed door policy" for their own well being. Griffin as a puppy is currently on the "I'm thinking about it" program and goes in and comes out at will but he is still confined in a certain area for sleep as a training method and has access to his crate, which he is learning is a "good place". We also travel with our dogs quite frequently and take them routinely just around town. We take them to different places and let them experience many different facets of life such as walking in the parks, where they will be forced to deal with other dogs or other animals such as squirrels. We also take them to outside cafes, coffee shops or restaurants and work with them that way to expose them to noise, traffic, many people coming and going, what they are expected to do in that situation and not do, and of course the attention that they invariably get! It is a win-win situation as socializing them often and extensively can only lead to them being more well-adjusted and content with their place in your life rather than being always left to fend for themselves in terms of entertainment or making them uncomfortable in new situations. Malamutes do thrive on attention and interaction and if a malamute is without stimulation, you definitely will see many less desirable traits emerge simply because a bored malamute can be a destructive malamute! They are wonderful guard dogs. 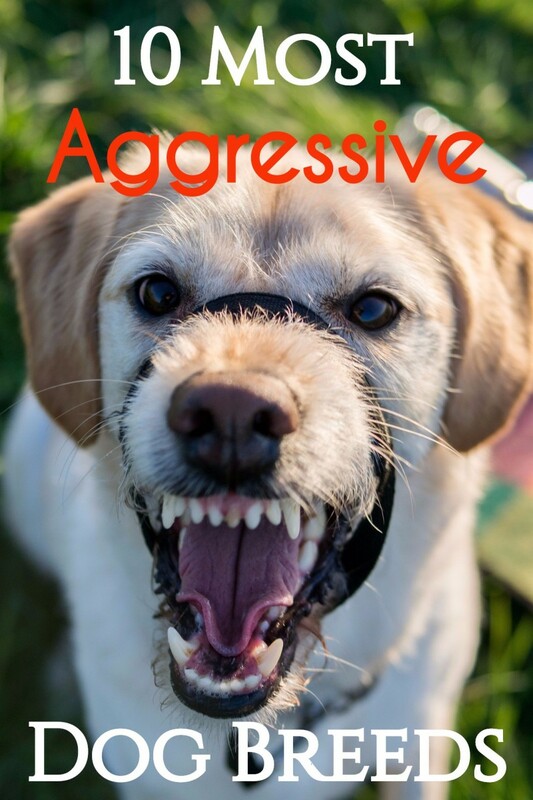 Unfortunately they are too social and are the worst breed ever for a guard dog! The only thing they can do is possibly intimidate someone because the person simply does not know the breed! They would probably show a burglar where all the best stuff is located and then skip out the door with him to boot! They require a lot of grooming and cleaning. Actually they don't! If you do not like the ever present hair that comes loose in the process of shedding, a quick brush once a day or every few days is sufficient. They are a little hard to bathe alone just because of the amount of fur and the size of the dog itself but we actually have done that for years ourselves. We now prefer to have them go to a groomer once or twice per year where their undercoats are blown/pulled and that proves enough to keep their coats beautiful while keeping shedding and "blowing of the coat" to a minimum. They should actually not be bathed too often. With all that fur, they must be very dirty. Whereas labs are oily, malamute fur is actually like a cat's fur and dirt does not stick to it! It is a wonderful aspect actually and they never smell like a dog. Whatever dirt attaches itself to the malamute fur, it basically dries and disappears. They are quite clean animals and are akin to a cat in their clean and sleek look and the softness of their fur. Food must cost a fortune to feed them. As with any large breed dog, they do eat their appropriate share but as with any large breed dog, the right food for that breed should be used and in the appropriate amounts to avoid an underweight or overweight situation. The vet or a breeder is the best source in determining what target weight the dog should be at and that should be maintained. Since they are a large breed dog, bloat is always a possibility so another training capsule would be teaching the dog to eat at a reasonable pace and not to wolf down the entire meal (I actually take up the food and make them slow down if they are not pacing themselves). Also feeding the dog at a raised height is recommended for all large-chested dogs. We do not feed our dogs any supplements but fish oil capsules and even that is not necessary. We do buy them breed-appropriate food, however, for large breed highly active dogs as the percentage of fat and fiber is right for them and we do exercise them pretty heavily. Just be sure to not exercise them immediately after eating for at least an hour or so or feed them for the same length of time before exercising. Malamutes cannot survive in hot climates. Their fur actually serves as an insulator for both heat and cold. While they may pant in hotter weather, they are not by any means bothered by it. They simply need access to shade (as any dog would) and they need access freely to lots and lots of water in times of extreme temperature. They should also not be exercised heavily during extreme temperatures; much better to wait for cooler evenings or mornings to exercise them. We give ours access to a small wading pool; whereas Griffin loves it and is constantly in it in hot weather, our older malamute is not a huge fan! However, if there is snow, they will readily go out and lay in it for hours. Malamutes are part wolf and/or husky. The malamute breed is a specific breed of dog, one of the "natural" breeds as noted above and they are not part of the wolf or husky family. They are an arctic breed like the husky but they are not the same dog nor do they have the same exact temperament or make-up. 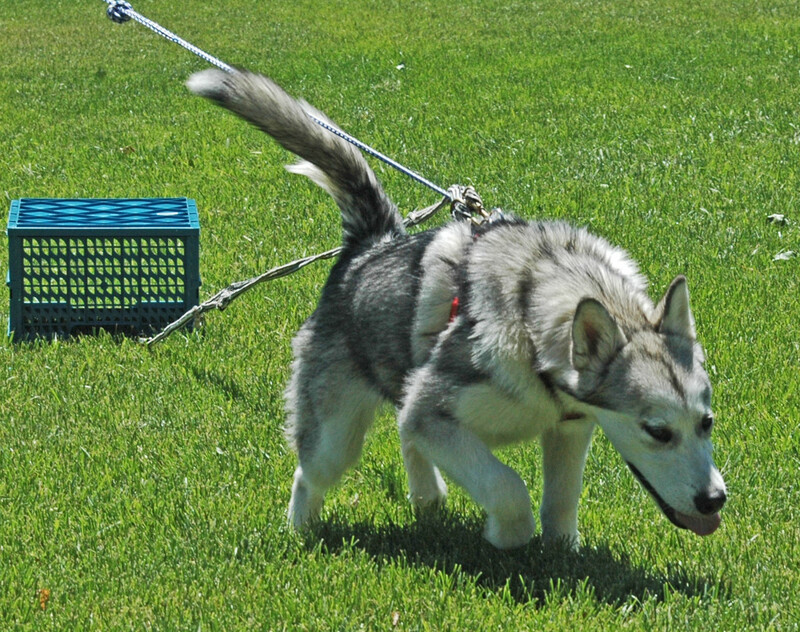 While a husky is more adept at pulling lighter weights, a malamute was actually used for hauling freight; the malamute disposition is actually geared towards "digging in" and pulling heavier loads whereas a husky is built for speed. 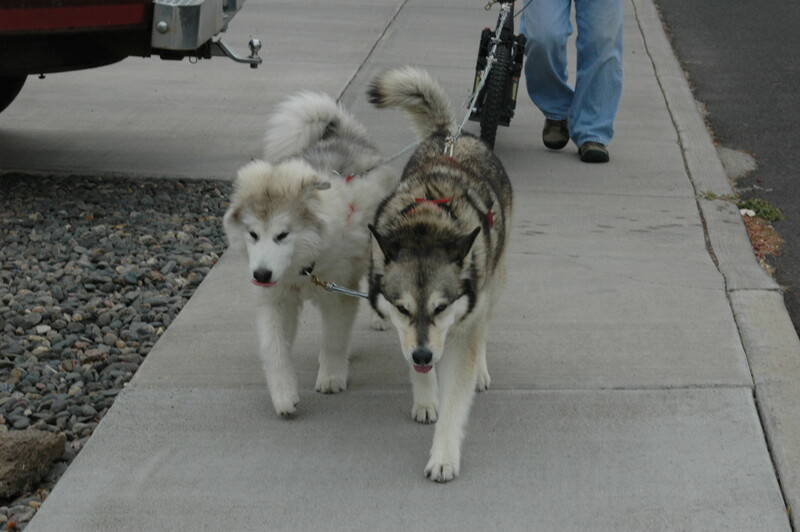 Malamutes were used by the Eskimo tribe the Malhemuts to drag massive loads of goods across frozen tundra. They were also highly valued members of the family unit and viewed as part of the tribe due to their contributions, hence their devotion to participating and work ethic. Malamutes are horrible with children. To the contrary, malamutes love children! Their size, however, and their "look" sometimes will frighten children so caution is advised simply because a squealing or a shrieking child can sometimes spook any breed dog! Most days, our 2 malamutes are greeted by 4 or 5 neighborhood children who sling their arms about their neck and roll on the ground with them. Of course as in all situations involving dogs and children, the two should never be left unattended, and certainly food should never be added into the situation as the potential for disaster is great. In terms of dogs and children, I have seen the smallest dog attack a baby simply because the baby pressed on the dog's leg, the dog did not know how to react, and no one intervened in time to stop the bite. Malamutes are not good with cats. This may be true if the dog is older and has not been raised or conditioned to not react to cats or realize that they make sudden movements. Malamutes can be very happy coexisting with cats but they should be introduced with caution and at an early age if at all possible. The same could be said regarding smaller dogs as malamutes and arctic breeds do have a tendency towards the "prey" response. 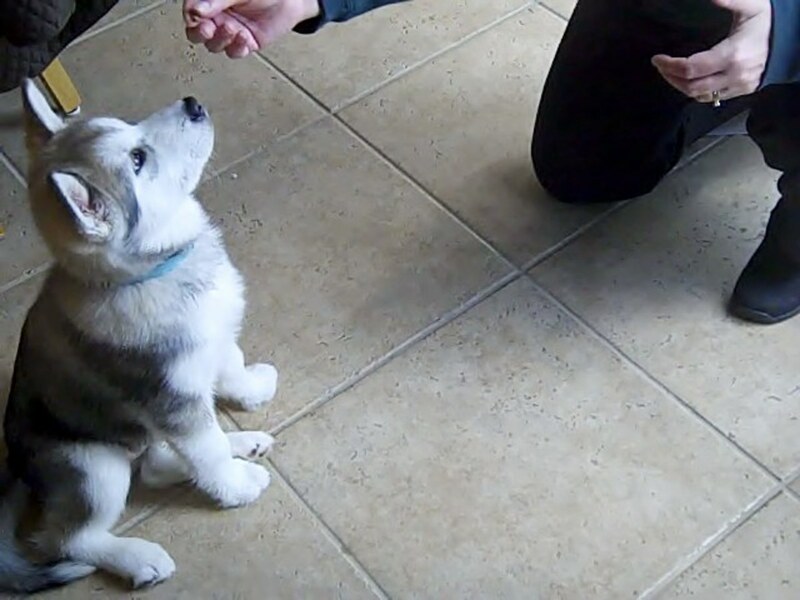 Training, however, can definitely desensitize the malamute to reacting but being aware of it is always recommended. Walking on our neighborhood street, we have rabbits that sometimes bolt out of nowhere and the malamutes are instantly ready to go after them. I have never seen them catch or harm anything, but the agility of certain small animals and the temptation to give chase must be kept in mind when you are dealing with a malamute. They are terrible diggers and are famous for getting out. They can be diggers yes, but the only reason that a malamute will dig is to escape. Once they learn how to escape, there are then only a few options to keep that from happening. The best plan where this issue is concerned is to prevent it from happening in the first place! We have solid bricks underneath our fence all the way around so that they cannot dig out under the fence. They cannot go over the fence because it is too tall. However, ours were very clever and figured out a way to loosen a board and escape that way. Mind you, one board was enough for a 100-pound dog to squeeze through! We did end up going to the electric fence simply to keep them fenced in as the threat to them being out is huge where we live so we felt that this was our individual appropriate answer. If a dog never does have a prison break, then the electric fence would not be necessary. The digging though can be handled in several different ways including wire placed in the ground or other methods as well but the brick has always proven effective for our dogs. It is a preventive measure in the long run and one we would rather take over losing the dogs. All that said, the malamute is a family-oriented, social sweetheart of a dog. They do require a lot of stability and much in the way of devotion meaning that they are not a dog that likes to be ignored or left alone for long periods of time simply because they are too social. They value their owners, however, and relish the time spent interacting. 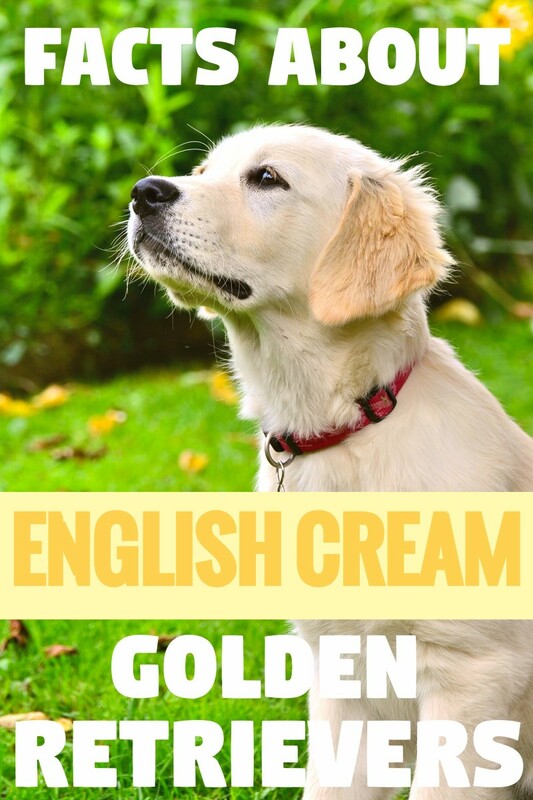 They are one of the most intelligent breeds of dogs and if given the opportunity to be part of a family, they will be a lifelong companion that will bring years of joy and laughter to a home. They do require discipline and consistency but most of all attention and something to keep them exercised and "involved". Having an Alaskan malamute has been one of the greatest experiences of my life - and I can say that in all honesty after having some other incredible dogs of other breeds. BUT - owning not 1 but 2 Alaskan malamutes has been a commitment and one that I do not take lightly. I am totally dedicated to the proper care and raising of my malamutes, which means that I put an incredible amount of time and energy into their care. I have never had to do that with another dog breed and wish to emphasize the fact that if you are looking for a dog who exists pretty well on his or her own, please rethink getting a malamute! You will do fine if you decide early on that the dog is part of your life and if you kind of work your life around having this breed - in terms of providing adequate exercise, plenty of socialization, and extensive training. If it seems like work instead of fun, then again, the Alaskan malamute is probably not the right dog for you. If, however, you look at it like a wonderful privilege in terms of knowing a great breed and training a dog to do all kinds of athletic endeavors such as scootering, skijoring, bikejoring, carting, sledding - or even jogging or walking - just lots of it - then you're the right person to own a malamute. They will love you endlessly and give you many rewards along the way - and if you are lucky enough to see that special spark that lives only in a malamute, I know you will get what I mean. Nothing makes me happier than knowing another malamute found a great home! I just got a malamute a month ago. He is six and already trained to sit, shake, and wait to go on a walk to use the bathroom. The only thing is he doesn't have the energy that you speak of; he likes to lay around and sleep most of the day (unless he wants attention, which is 75% of the time). On walks, he will run for about 15 seconds and be done. Is it normal for a dog of his breed to be more on the lazy side? Yes, but they are usually pretty energetic even at 6. 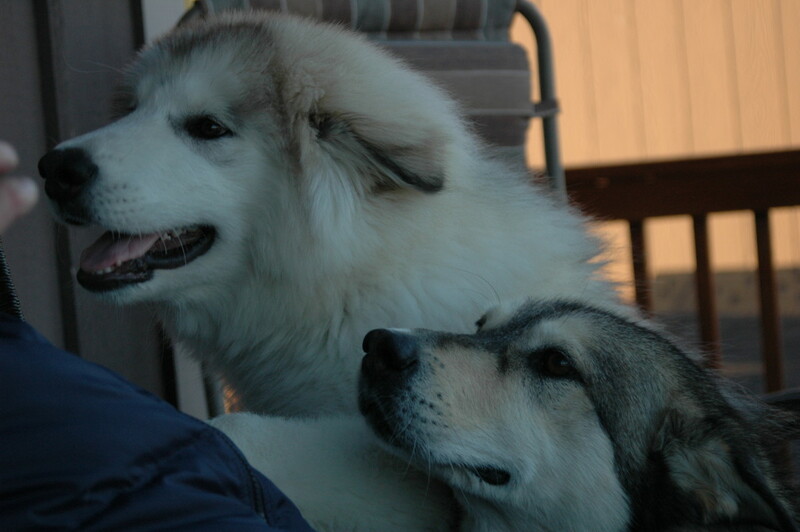 They love interacting with people, and of course, we have always had another malamute for them to play with. Ours even play ball with us which is kind of hysterical since mals are not 'retrievers.' I would look into thyroid problems though. My one malamute has hypothyroidism so has to take thyroid twice a day - minimal expense really except for the blood work every once in a while. She was super listless and 'lazy' and that's how we discovered it. Her thyroid was down to about 0. It is common in malamutes so I would ask your vet or research it. I have two Alaskan Malamutes but can't take care of them anymore due to illness. I was told that there is a sanctuary in Northern Ireland that would take them and look after them as I would not give them to anyone unless I knew that they would be well looked after. Do you know of this place and have you a phone number, please? The only place I could find with a phone number is 07969 627963. 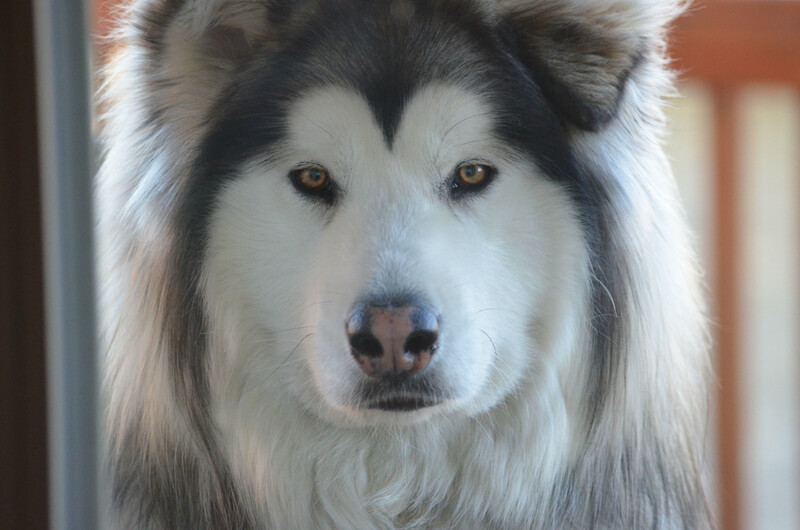 Also, if you can go online, you can also research malamute rescues in Ireland. That sounds like great exercise! The only thing would be if the dog got bored when by itself. When mals are bored, they can get into a lot of trouble. Every dog is different though! Definitely loving and bold. They are wonderful dogs - you just have to know how to train them correctly so that they are always good citizens. Omg I own two stubborn yes but the best dogs ever ! Amazing n smart .. loving n bold! Hello I am thinking about getting an Alaskan malamute and I have researched a lot! My only concern is when I am at school from 7-2:30. I would run him in the mornings and after i get home but I am concerned he might howl during the day or escape from the backyard. I would get one as a puppy so I can train him but I am still worried. Somone. Might not be home during this time in day so I am wondering what I should do or anything else that could help me figure out what to do in this situation . Can't wait to own several of them someday. Such a beautiful dog and I'm looking up all the information on them I can on them now! Jand--I so apologize--I just saw this--hopefully they did become the best of friends!! I purchased an AKC registered Siberian husky pup this last December as a gift for my new husband, I did a lot of research and thought I was prepared. Oh boy is Dawn proving me wrong, however, I do not believe in giving up so I am making changes and compromises where possible to my life for her. She is 6 months old and very smart and stubborn. She has opened her kennel and is attempting to learn how to turn a doorknob. I also have a 3 year old male rescued belgian malinios - chow chow mix, he was starved and had been beaten (his front legs were both cut open, a big chunk of fleash was missing from his tail, could see his ribs and spine sticking out, he fraked when i tried to put a collar on him, and men could not approach him) Now he is a wonderful family dog. However a few days ago a lady asked me to take her Siberian husky Sasha as she couldn't keep her. I think that Sasha is actually an Alaskan malamute. Her head is broader than Dawn, shorter but thicker tail, thicker bodied, and the fur stands up and out away from the body instead of slicking down as Dawn's does. But Sasha is only 55 pounds and has one blue eye and one brown, which malamutes are not supposed to have so I am confused as to what she may be. Sasha was a rescue, found on the streets and had had puppies before her first birthday (she is fixed now) She is terrified of water (the lady that gave her to me used a squirt bottle in Sasha's face to discipline her, the lady wasn't trying to Ae cruel), and kennels, and is a very timid submissive dog. I have had her for 3 days and she and my Siberian get along great, but my malinios - chow mix Rascal either ignores Sasha or bullies her. Im not sure if he is jealous, or if it might be a dominance thing. It seems to be getting slightly better, but he absoulely refuses to have anything to do with her. If he and Dawn are playing and Sasha comes up, he walks away rather than include her. Dawn tries to play with Sasha but Sasha doesn't know how to play, which is heartbreaking to me. So I guess my questions are, could she be a malamute? And any advice you could give me on getting Rascal to accept Sasha, and building Sasha's confidence would be great. I'm hoping that the dogs will rub off on each other. Dawn and Rascal are hyper, playful, and spoiled; I'm hoping they can teach Sasha how to play. And I'm hoping Sasha's laid back submissiveness can help calm the other 2 just a little cause right now there is no off switch, lol. I have a large yard, the fence too short so I have plans to correct that, and each dog has its own swimming pool as we live in Texas. I been around shepards and rottweilers my entire life, but Siberian and malamutes are new territory for me and I would love any advice you can give. Thank you so much for a quick response. We are getting rather excited about the possibility of getting Mischka. She has been totally hand reared as her "mum" mauled the litter and she is the only pup to survive - she was removed from a week old. Looks like she may have been injured in one eye or it is lazy, but that is ok - we think she is beautiful. As for our two year old, Taya, her EPI is a serious condition but one that is very much monitored by us and our vet and thankfully in control. We live in Australia and it took a lot of research by ourselves to get the diagnosis. Sorry it is hard not to go on about these wonderful dogs. Again, thanks for your input and your load of information it has been great to read. I took Taya for her walk this afternoon and she is just adored by all who meet her. A total stranger having a run asked if he could run her for a bit - FANTASTIC, Taya was in her element. She ran with him and then joyfully ran back to me. I am so thankful that she is now well (we almost lost her) and here's hoping Taya and Mischka become the bests of friends. Hey Jan - thanks for stopping in and good for you - I'm not familiar with that particular condition - will have to look it up but definitely best if genetic defects don't get passed along. My Griffin the long hair is beautiful but he had a severe allergic reaction to his first shots so has a floppy ear. My breeder decided not to breed him because of it which I think is a good thing although I'd have loved to have another one of "him" one of these days....just best all the way round though. Have just read your post. We have had Taya for just over two years and love her truly, madly, deeply. Just considering taking on a second female mal, 10 week old. Taya is her actual aunt. We feel we should take her to make sure she is cared for as Taya has a condition called EPI, which is properly treated and in control with medication. We want to make sure this little one is not used for breeding thus hopefuly not passing on the gene should it be gene related which is a possibility (from what we understand of the disease). Is there any problem that you know of of having two female malamutes?? We are having a play date this week. CR - Thanks SO much for confirming what a great breed they are. They are one of the most misunderstood unfortunately but with the right owners (like you) they are the most WONDERFUL breed! They definitely engage you don't you think? I've found that just consistency and making sure they know you mean what you say is key. Also keeping them "close to the family" - they are totally social animals and that is how to teach them best. By letting them interact with you on a day-to-day basis, they do learn that you are the head of the household and as long as they (eventually) do what they are supposed to be doing, all is well...but that there are due consequences when they screw up...mostly because they simply (as you say) decide not to listen! Great job on rescuing a dog - that is always my dearest desire...for there to be more people like you who take the time to work with an animal of any kind and not consider them disposable!! Thanks so much for your great contribution to the article. Wishing your guy the best - it is so sad when they get older. 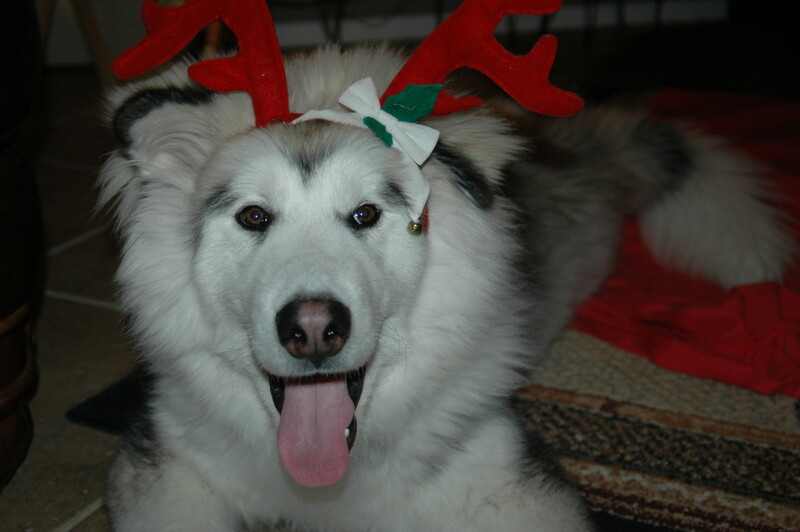 Our rescued malamute is now about 11 I think though (knocking on wood), she is still doing very well! Especially for having 2 young pests around!! Wow you really DO know Malamutes. We inherited this dog at age 3 when his previous owner could not handle him. She said he fought with her other dogs and would not listen to her. I was really scared because I've never had a dog of any kind, ever, and here my spouse brings home this dog the size of a small pony. To my surprise he was one of the sweetest most personable animals I've ever met, including most of the people I've met. He learns very quickly and wants to please but he does have opinions--it's like he knows what is right but sometimes decides to take the consequences of doing the opposite. Like, yeah but I'm doing this. So you really nailed that one. He often knows what I'm about to do before I make any indication of doing it (although I must signal it somehow) and leash training him was not hard, nor was training him not to mess with other animals. If a robber had a snack on him he'd take him right to all the valuables but he looks intimidating so he helps a little that way I guess. Danielle - Thanks for your opinion and I agree although sometimes they do just do it to get out and run. That's why I emphasize how important it is to keep mals (or any dog for that matter) engaged and busy. Mals are extremely intelligent dogs who need constant interaction with their human companions and also need stimulating outlets to keep from being bored or restless. Malamutes don't dig to "escape" they did from boredom or to unearth cool soil that underneath....! Suhail - Congrats!! Did you read my piece on bringing home your puppy? That might help....we are still in the throes of puppyhood here at Chaos Central. Gabs is just 12 weeks old tomorrow and she is reminding me of when my children were little. But it goes by pretty fast and no worries.....she is a darling and she is all to our Griffin and more, which is what I wanted. Good luck and will think of you!! P.S. We are down to TWO nightly awakenings after 3 weeks - this is good!! The second one I am just getting ready to head into my office for work so it works. I will certainly be looking forward to your next article on 'difficult dogs'. My children and I brought our second puppy home - an 8 weeks old Kuvasz - probably a difficult dog, although not a Nordic breed. The first night tonight promises to be a testing one. ShortStory - Indeed because they are similar breeds! Good point!! A lot of that info sounded just like a Samoyed. Suhail - I agree - they totally need 'jobs' no matter what breed they are but especially northern breeds. Without direction, they can become very 'adventuresome and mischievous' to put it lightly! Great idea on the pulling luggage!!! I shall have to think of some little things that our pup can do to keep her occupied. Stay tuned for more info on 'difficult dogs' - doing some more articles on them this month. I am a believer in putting northern breeds to work that closely resembles their original task. For example, when I am having a picnic with my family and friends, I let my Canadian Eskimo Dog pull luggage cart to the picnic spot. He loves that and starts howling and whimpering to get going. 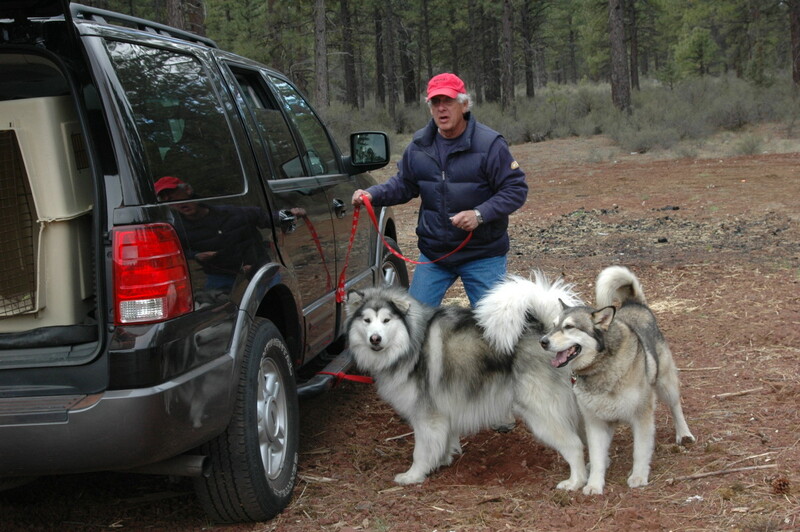 If I had 4 of them, I would start using them to pull all the heavy stuff meant for the picnic or make them pull my wheel sled every single day :-) I think you have done a great job in taking your malamutes to hiking with their very own backpacks. Thanks for sharing about one of the northern breeds. Thanks - and I still have my malamutes - ha ha- they are a wonderful breed....just have to have the patience of at least ONE saint.